Following the implementation of the K-12 program through the Department of Education (DepEd) as mandated under Republic Act No.10533, otherwise known as the Enhanced Basic Education Act of 2013, which essentially added two years of specialization within the Basic Educational System, the Tublay School of Home Industries (TSHI), which is the premiere Technical-Vocational school in the Cordillera, embarks on immersion partnerships with different government and private entities where senior high school students immerse themselves. The Work Immersion Program (WIP), which is basically an On-the-Job Training (OJT), is one of the course requirements for graduation from the K-12 program. Every Senior High School (SHS) student has to undergo WIP in business establishment or industry with work requirements related to his field of specialization. As provided in the curriculum guide or course syllabus, the WIP accounts for a minimum of 80 hours which equates to ten days of immersion work. However, the hours of immersion may be extended to 240 hours or 30 days of immersion upon evaluation if concerned student is found to have not sufficiently acquired skills in line with his specialization. Moreover, the longer period of immersion is being encouraged by the United Nations (UN), provided this is acceptable to the school’s work immersion partners. The WIP may not be possible, however, if proprietors or operators of different business establishments and local officials within and even outside the municipality of Tublay, Benguet did not positively respond to the school’s request to have partnership with them in line with the implementation of the K-12 program. Hence, the school officials extend their million thanks to them for having responded to the UN encouragement to support and accept the K-12 program. In fact, these work immersion partners even went beyond what is basically required of them to provide, having even provided free board and lodging to some of the WIP students for the entire duration of their immersion within their business establishments; some partners even provided allowance for their overtime works on Saturdays and Holidays. Happily, a few proprietors or operators retained and employed students after their graduation. 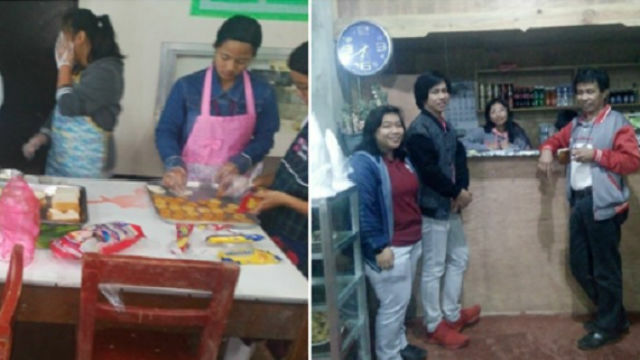 Following the full implementation of the K to 12 program, the first batch of immersion students for school year 2017- 2018, particularly Technical Vocational Livelihood (TVL) Track, this school fielded 162 students to different immersion partners: 62 students under automotive servicing, 19 students for carpentry, 53 students for cookery,14 students for electrical installation and maintenance (EIM), and 14 students for Shielded Metal Arc Work (SMAW). Thereafter, an evaluation was conducted covering the school’s industry partners through the immersion supervisors. The result netted an overall average weighted mean of excellent in all five areas of specialization, showing the school and the immersion partners’ a commitment to fulfill DepEd vision. Despite the high rating, however, the school’s immersion partners are encouraged to give comments and suggestions for the improvement of the program.